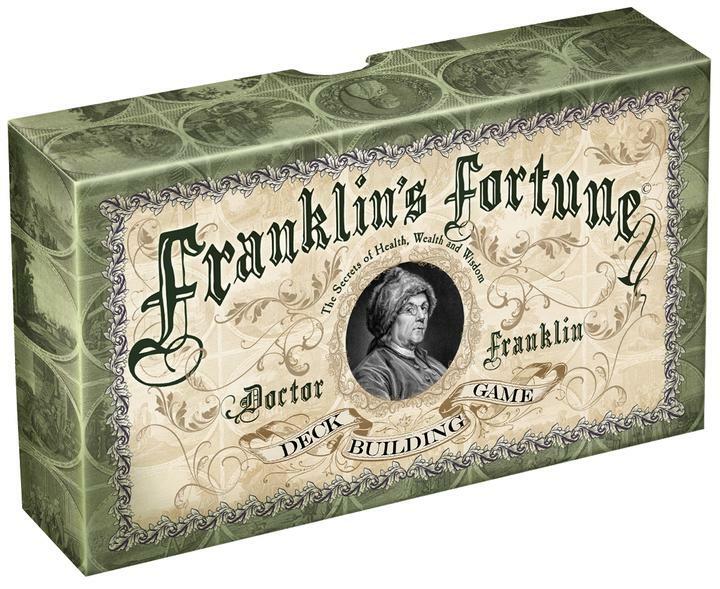 A deck-building game named Franklin’s Fortune has recently been released, and we thank Shane Newell reaching out to tell us about it. Based on Franklin’s economic ideas and lessons on life, the players strategize how best to get on in the world. The graphics are of a very high level, and the website has an introductory video sufficient to get a games night underway.